So what is it about owls that everyone loves so much? The cuteness? The smartness? The funny faces? The all-knowingness? The killer bird of preyness? Who knows but they definitely are all over the place. I would place bets that owls are the most pinned animal over on pinterest. So I made some. 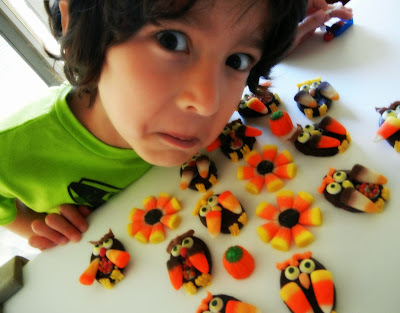 And they are pretty simple, and use up that candy corn you may have laying around too. You need mini York Peppermint Patties as the base. I actually had some Easter egg shaped ones stashed away from earlier this year, but you can use regular round ones too. 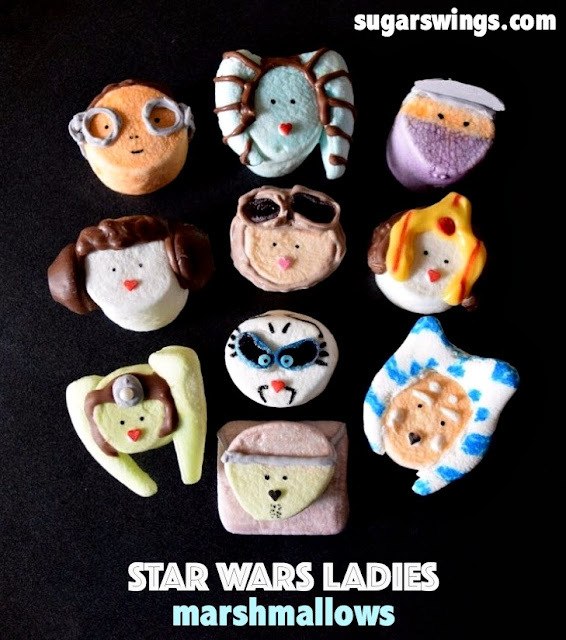 Or you can use any kind of chocolate candy you can find in the shape. 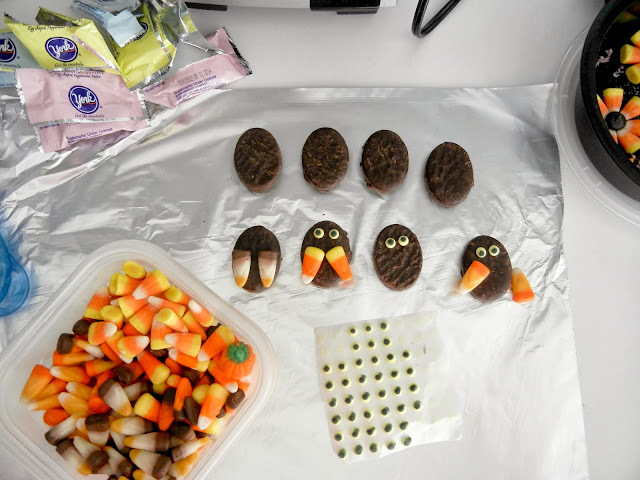 The rest is candy corn for wings, candy coated sunflower seeds for the beak, pre-made candy eyes (but you can make you own too from candy melt), and Wilton candy melts for the rest of the detail and to attach the other candy items. Then just position the wings in various ways to give them some of that owl cuteness and character everyone loves so much. 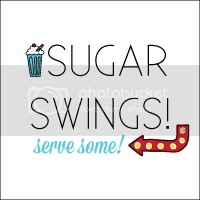 Add some sprinkles on their tummies too if you like. Candy corn comes in so many varieties now, so you can mix and match. And if you don't like traditional candy corn Starburst even have their own now! And that's pretty much it. 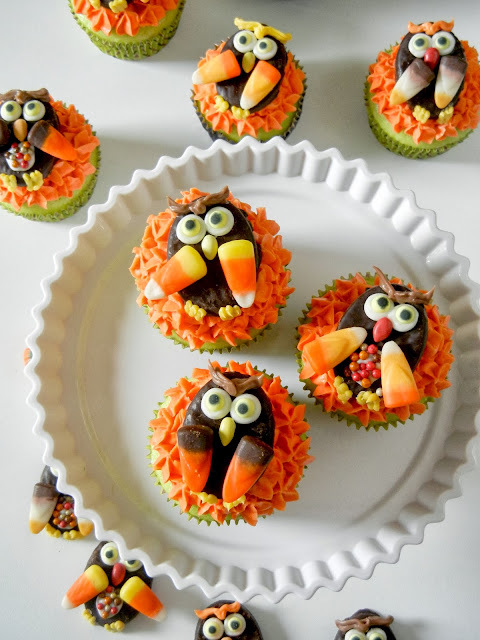 Great on their own or add them as toppers to cupcakes because who can resist the cuteness of owl cupcakes? 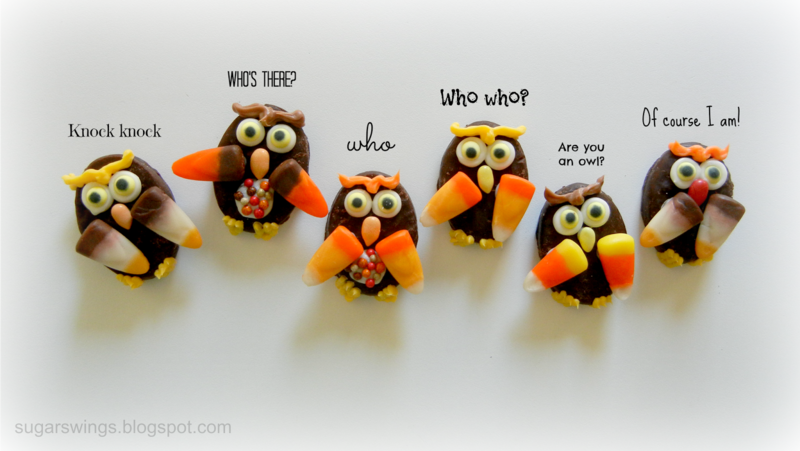 And if you want to see similar but different candy owls, we made these for Valentine's Day one year. 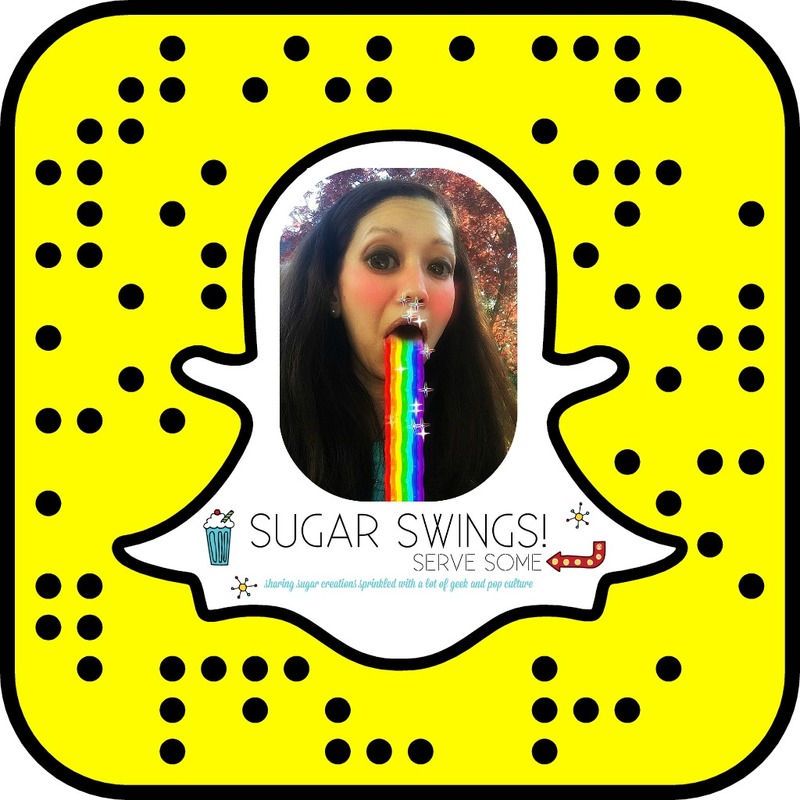 Thanks as always for stopping by, have a great week! P.S. Here's a little peak into my fancy photo shoot set up aka my kitchen table. 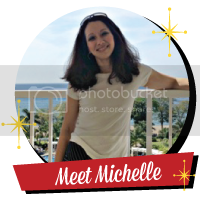 I often have a curious kiddo wander into the "photo shoot". They always want to know why I'm taking pictures of stuff - or maybe they are just hungry! 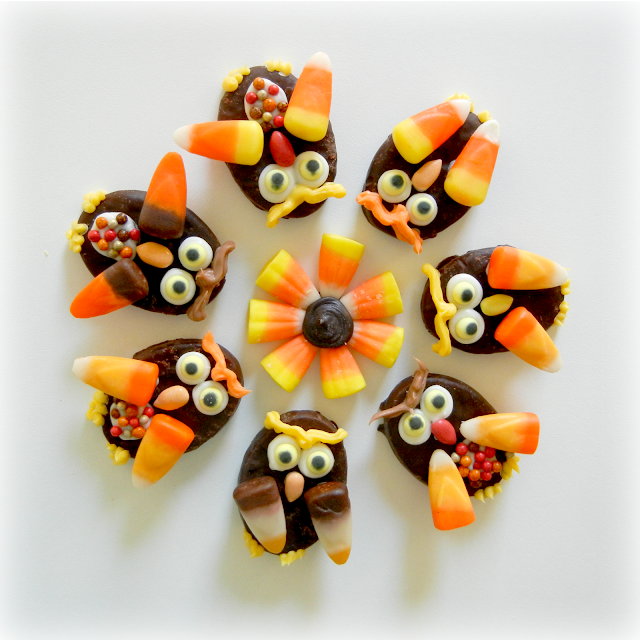 Those candy corn wings are too cute! I love these. I love birds (not just owls) and these guys are super cute! Thanks a lot Robin, theres just something about cute birdies, right? I've been seeing lots of owl stuff in stores this fall, like dishes and bowls. Maybe all the pinning has created a trend in home goods. 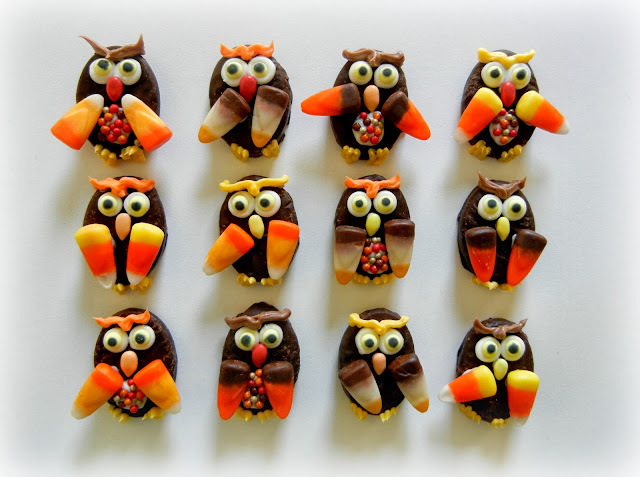 Your candy owls are adorable and they'll be one more owl on Pinterest! You're right owls on everything! they are so darn cute, hard to resist. So cute! The look awesome on the cupcakes! Your owls are so darn cute!!!! These owls are so cute! I love them! I need to get on the owl bandwagon! How CUTE!!!! I love the little owls!!! 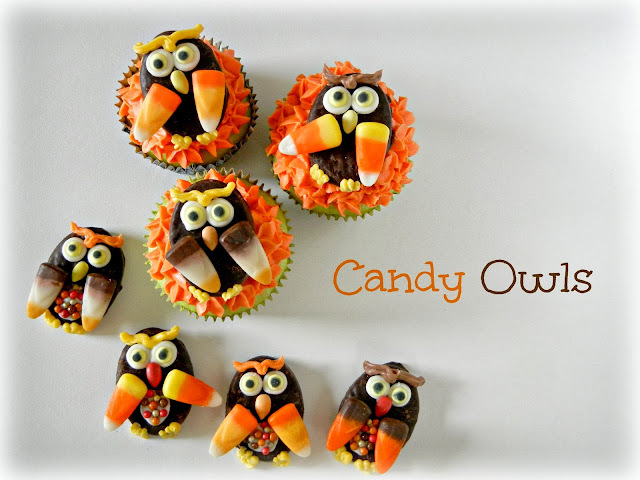 I love anything with owls, they are just so cute, and these little treats are so fun!!!!! Love your owls- very cute.